May buy any quantity. May redeem any quantity per household. Valid for admission for 1 person. Children ages 2 and under are free. 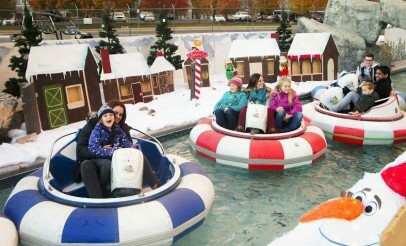 The North Pole is open from November 27 to December 24, 4:00 pm - 10:00 pm. Valid through: Dec 24, 2015. See the terms that apply to all deals. 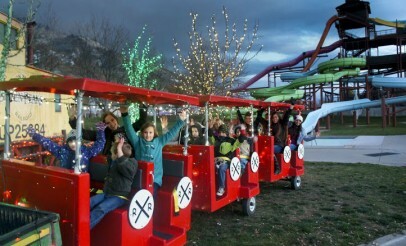 The North Pole at Seven Peaks is the newest holiday event for the whole family! Seven Peaks is featuring a ton of new holiday activities including Christmas music, lights, sledding down waterslides, train rides, and a lazy river boat ride to the North Pole! But that’s not all. Also, included with your admission ticket, you get many other activities including visits from Santa Claus, wreath toss, tic tac mistletoe, character appearances, decorating trees, marshmallow guns, holly berry paintball, candy cannons, and more! You won’t want to miss this amazing seasonal event!